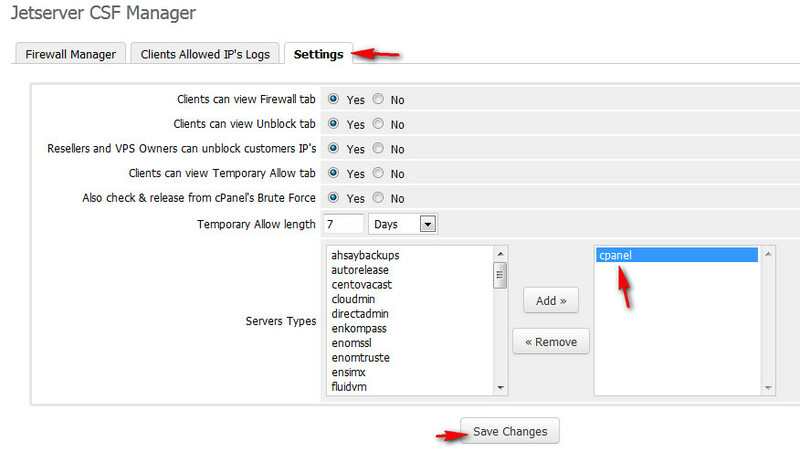 First, you will need to login to your client area and download your free copy of “WHMCS Product limiter” plugins. Once downloaded, unzip the file and upload the files (as is) to your WHMCS installtion. After uploaded, the full path to the module should be: “modules/addons/csfmanager“. 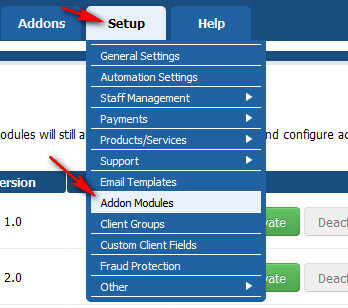 Now go back to “Server CSF Manager”, click “Configure” and set the admin role groups that can access the module. You will be able to access it throught the “Addons” top menu. By default, CSF Manager will use all servers listed under “Setup” -> “Product / Services” -> “Servers“.